An incredible leave-in fluid that includes 10 precious benefits. 5: prevents split ends. 3: detangles the hair, to get rid of the knot problem. Light, versatile oil for pearlescent light reflections. Oil Reflections - luminuous reflective oil for fine to normal hair. Other information. 9g x 4 tubes. - Leave 10 min & rinse out. - Smoothes the surface & separates each strand to reduce friction & give the hair a healthy bounce. - The result is silky hair so smooth & alive with body that you have to rub your fingers through it. For progressive hair loss including hormonal and hereditary. Apply strand by strand to a clean scalp. Massage scalp to ensure product penetration. Do not rinse. We are very serious against false claims. This final touch to the hair care routine, instantly nourishes hair with the very essence of beauty; opulent shine and caressable softness. To use: Gently work a drop or two into wet hair before drying and styling as usual. The hair regains energy, body and shine. No exceptions. We are very serious against false claims. Any attempts with intend to manipulate our system will result in appropriate repercussions. (excludes samples). Strength Power Booster: for week, fragile hair. Contains potent doses of proteins & amino acids to boost strength & reduce hair breakage. Power Boosters can be used individually or combined together depending on the specific needs of the hair. To use: Massage through wet hair, leaving in for 2 minutes before rinsing out. Genive Stimulator Ginseng Fast Long Hair Serum,Stimulating Growth Hair Serum 60ml. Genive Ginseng. Genive With a variety of natural extracts, without chemicals.You will have shiny hair and healthy. The serum is absorbed into the scalp. 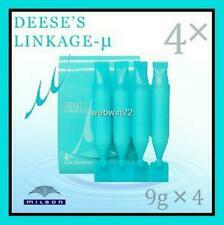 Ginseng long Hair Coat Treatment Serum Regrowth Repair Hair Loss Control 125ml. Help with circulation and boost the immune system, since it contains antioxidants that help rid the body of free radicals. Ginseng has been used in many shampoo formulas, and a variety of ways exists to take ginseng for hair health. Ultra light shield protecting the hair from any antioxidant agents while prolonging the color and integrity. Its Uv Filters create a shield against external agents such as sun rays, pollution and free radicals. (excludes samples). Gives dyeing, hot oil separation. We are very serious against false claims. Any attempts with intend to manipulate our system will result in appropriate repercussions. ISBN Does not apply. First, shampoo using Rene Furterer Tonucia Toning Shampoo. Do not rinse the serum out. The formula is enhanced with natural Lemon balm extract that has anti-aging benefits. We are very serious against false claims. Voluptuous beautifying oil mist with the Oleo-Complexe and Intra-Cylane. Fine to normal hair. No exceptions. ISBN Does not apply. EAN Does not apply. We are very serious against false claims. Any attempts with intend to manipulate our system will result in appropriate repercussions. Schwarzkopf Professional LTD Bonacure Hair Therapy Miracle Oil Mist 100ml/3.3fl. Adds ultimate shine without overburdening. Oil Mist for fine to normal hair. Limited Edition LTD. For: Woman. - Item may vary in color or appearance from actual photos. Photos are of the actual item, what you see is what you will get. 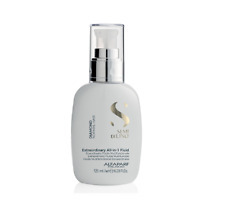 Sexyhair Healthysexyhair Soy Renewal Treatment 125ml. ---Strengthening treatment mask for aged hair. --- ---The Schwarzkopf Professional BC Bonacure Q10 Time Restore Treatment repairs structural damage and revitalizes wires. --- ---Schwarzkopf Professional BC Bonacure Q10 Time Restore Treatment gives strength and resistance to hair fibers, since time causes keratin synthesis to decrease, causing fragility and dryness. --- ---Your hair is strengthened, soft, shiny and rejuvenated as if it had been bathed in the fountain of youth! --- ---Complex Time Restore: Combines Q10 Plus and Nutrifiller technology that stimulate the production of keratin and erase the signs of aging hair. --- --- --- Application Tip - Apply the mask over clean and moist yarns, from length to ends. To distribute the product well, comb the hair. Let it act for 5 to 10 minutes and then rinse. Revlon Professional Be Fabulous Hair Daily Care for Normal/Thick Hair - Anti Age Serum 80ml. Anti-aging effect. This final touch to the hair care routine, instantly nourishes hair with the very essence of beauty; opulent shine and caressable softness. This lighter oil has been specifically created for fine hair. Item: Castor Oil Set. CASTOR OIL. Step1: Place the oil on the beard with a brush. Disposable brush. Step 3: Use a facial wash to remove the oil. Step 2: Leave the oil on for a minimum of 15-20 min. Giving an excellent hair feel after colouration. View Related Products. Oblepikha Hair Mask Deep Hydration. Perfect for unruly, dyed or highlighted hair. Vitamins and amino-acids in the formula nourish and repair hair, oils of Altai sea-buckthorn and Moroccan argan help produce keratin, which gives hair shine and strength. Step1: Place the oil on the eyelash brush provided. Brush a few strokes on the eyelashes and on the eyebrows. Disposable eyelash brush. Step 2: Leave the oil on for a minimum of 15-20 min. Step 3: Use a facial wash to remove the oil. CHI Argan Oil Plus Moringa Oil Rejuvenating Mask actively smooths out frizz while reinforcing hair's lustre and improving its overall appearance. To use: Apply a generous amount to wet hair and distribute evenly from mid hair to ends. Cleansing the scalp of impurities, this shampoo removes excess sebum and residue to provide a feeling of freshness. Leaves the hair looking and feeling thicker and denser. Perfect for thinning, natural hair, this miracle mousse creates density and stimulates and strengthens locks. DAX COCONUT OIL ENRICHED WITH VITAMIN E FOR HAIR AND BODY 397G/14 .OZ. DAX COCONUT OIL ENRICHED WITH VITAMIN E 397g/14oz. Our unique formula will condition and revitalise dry hair; as well as, smooth and soften rough and dry skin. Body : Massage into rough skin to reveal a touchably soft, smooth texture. Marke Wella. 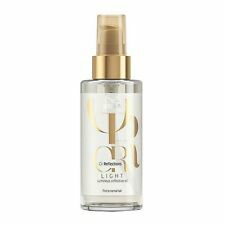 A noble and light hair oil for light shine and reflections of light. Gives the hair softness. -light shine and reflections of light. with fine Pearlizing effect for fine to normal hair. Sebastian The Flow Range Taming Elixir Weightless Smoothing Cream-Serum 500ml. 100% authentic, new and sealed product. Doing that is against U.S. and international laws. The Original Mane 'n Tail Hair Strengthener. Hair Strengthener Benefits Spray directly onto hair while dry or damp. The amount of product to use will vary with hair length and thickness. Massage, brush or comb throughout hair evenly before styling. Toni & Guy Radiating Tropical Oil (50ml). Smoothing, Nourishing Oil 1x 50ml pump dispensing plastic bottle. This formula brings out the natural beauty of your hair. For normal, frizz-prone or dull hair. Add one single dose of Infusions to 25ml of a mask. Mix together evenly. Apply on towel-dried hair. Leave for 5-10 minutes. Rinse out thoroughly. Other information. Loreal mythic oil shampoo for fine, normal hair 250ml. Marke Loreal. The oil-enriched shampoo for fine to normal hair, nourishes your hair with precious oils. The hair is not complaining but remains easy breezy. Schwarzkopf Professional (22). Blow dry hair or style as desired. Haircare & Styling (89). Skincare Face & Body (170). Ending Soon. It is composed of a carrier oil and a precious botanical oil. Only the precious oil is left in an ultra-light layer on the hair. ◈ Schwarzkopf. TIGI Bed Head Manipulator Matte Wax With Massive Hold 2Oz. Rinse thoroughly. Leaves the hair feeling tangibly smooth. Adds ultimate shine while perfectly sealing the hair surface. Apply to mid-nights and ends of towel dried hair and work through. Ideal for dry, fine-to-normal hair and safe for colour treated hair. Double the hair-strength overnight. ZIAJA SZAMPON WZMACNIAJĄCY. -Szampon poprawia objętość włosów bez ich obciążania. Nanieść szampon na wilgotne włosy, delikatnie wmasować i następnie spłukać. Czynność powtórzyć. ZIAJA REINFORCING SHAMPOO.